When I look at over 22 year of special education experience, I can see a massive inflation in the misdiagnosis of ADHD. Well, it did start as ADD (Attention Deficit Disorder) and soon became ADHD (Attention Deficit Hyperactive Disorder). The special education profession is still split on the existence of ADHD. Some say it is a brain malfunction, some say it is only children’s need to move a lot beyond the “normal” range. I think that no matter which approach you take, our society is sick with the labeling disease! Well, look at that list and realise why we have an inflation of children with ADHD. A person with ADHD has a chronic level of inattention, impulsive hyperactivity, or both such that daily functioning is compromised. The symptoms of the disorder must be present at levels that are higher than expected for a person’s developmental stage and must interfere with the person’s ability to function in different settings (e.g., in school and at home). A person with ADHD may struggle in important areas of life, such as peer and family relationships, and school or work performance. If you read this definition and the list of the symptoms, you can see that with such definition most kids do not stand a chance to be treated properly. I look at this list and say that in many of my schooling years, I had not only 6 of the symptoms but all 9 of them. Most of my school friends could fit nicely into this formula too. Did we all have ADHD? I felt worse about what I now call “the ADHD myth” after working with many “ADHD”. By working with these kids’ motivation, I changed their behavior and performance dramatically within a short time. So much so that none of their “symptoms” remained. Now you tell me, if ADHD is “a chronic level of inattention” and “a neurobehavioral disorder”, how can it be changed in three months? Children do not give close attention to details because they have many better things to do and throughout most of their school years, they do not really know what they are doing at school anyway. Usually, the same kids pay 100% attention to their sports or some other activity, which they find interesting. “Low Motivation” is a different label from “Attention Deficit Disorder”. So what is the problem? Is it that children do not listen or that we have a problem to force them to do what we want them to do? Responsibility is needed here, not labels! To get kids to follow instructions, we must provide them with some motivation – what’s in it for THEM? What will they benefit from finishing schoolwork or chores? We do not learn many helpful organizing skills at school. Some disorganized people find their things in a mess better than in an organised place. If you look at each kid’s family, you can find that families with good time management skills produce organised children. Organisation is on a scale. “4 years”, she said, “4 years, every day”. Organizing skills can be learnt. Teach them to your kids. Most of the homework is boring, boring, boring. My kids, who generally breeze through school, dislike and do not want to do things that take lot of (mental) effort, even for a short time. Not having a well-developed concept of time, children cannot tell how long things will take them to do and treat every new task as if it may take forever. They are born with zero knowledge, so everything is new and everything requires effort to master. They learn so much at the beginning of their life that it is funny to think that if they do not want to do things it is because they have ADHD. Mental effort for a long period of time is hard, so children need a lot of feedback and encouragement. Losing things selectively is a very interesting symptom. I can find something in common between forgetting school assignments, pencils, books and tools. Can’t you? Why do they never forget what is really important to them, like the exact time of their favorite TV show or the exact amount of money they need to buy a chocolate bar? Distraction has a connection more to their physical emotional state than to having ADHD. Insufficient sleep, unhealthy eating and problems at home have major effects on any person’s ability to focus, especially children. Finding the real reason they cannot focus can help us change the behavior of a child who is easily distracted. One of the things kids forget is … to drink. Unfortunately, dehydration is a major cause of short-term memory loss. If a kid can remember other things during the day, there is nothing wrong with their memory. If you are worried, pump them full of water. If you look at the whole list of symptoms, you can find many different explanations for “inattentive behavior”. Some explanations will help to change the attitude towards kids, stop the overuse of the ADHD label and support taking responsibility for our part in our kids’ education. I find it quite strange you did so much work with children with ADHD when you apparently don’t know what ADHD is. ADHD isn’t and has never been described as never paying attention to anything, it’s a problem with regulating attention. Hyperfocus, where the brain becomes overly focused on one thing to the point of blocking out all else. Not only did you completely ignore this but you used the fact that the children could pay attention to sports as a “proof” they didn’t have ADHD which shows a fundamental misunderstanding of what ADHD is. There’s also the effect of ADHD medication on people without ADHD, adults with ADHD, the heritability of ADHD and pretty much everything else you left out to fit out to fit your narrative. You also seem to latch onto the quote “chronic level of inattention” (and take it to mean never paying attention instead of trouble paying attention to intend things) but conveniently leave out the rest of text about how this is more than the behavior common at their age when you claim that this is just because they’re children. You are teaching parents, that is dangerous. If you want to lecture parents on ADHD I recommend you read up on it enough to get a basic understanding of it first. https://www.additude.com/ would be a good start. As a matter a fact, I was diagnosed with ADHD when I was a kid and I do believe you when you say that you do have ADHD. I do not know if you understood from my writing that I do believe there is ADHD or at least I agree with the symptoms but I honestly think that there is an inflation – overuse of the label. I am convinced many ADHD diagnosed kids are nothing but kids that are not regular but there is nothing wrong with them. And no, I do not agree it is a mental illness, it is probably a chemical malfunction in the body – nothing more than that! Over thinking is typical behaviour of people that I call “digital” people – and many of them will be diagnosed with many diseases that are far, far away from being right. In truth – we never find the reason, we never have. We play a guessing game using only the symptoms as a guide. Some treatments work for some, some not – this is # 1 rule in special education – nothing is a 100%. We are so individuals in our mind, body and spirit and this is how it should be. I do not like the term disability either. People diagnosed with ADHD are talented, smart people who do think differently. But no one ever said differently is bad. I teach all my clients that being yourself is the only person you can be – even if it is different. I agree that people need to understand themselves this is what my life purpose is – to help people understand themselves. Sorry to tell you, you had bad luck. Going to 40 doctors was not the answer. Lucky people get to the right person early and do not have a problem at all. I worked with thousands of kids and families around the world. The earlier they come, the easier it is to solve the problem. My purpose on those years was to find it as early as possible and make sure no kid will go to school with a problem. Believe it or not, challenges can be detected so early and can be changed so easily in an early age that in school no one will ever guess there was ever a problem. I am happy you found Ron Davis – I am a fan of Ron Davis and his approach. In the next month I will publish 3 articles about ADHD – I hope you will find many practical tips to help families with handling ADHD. Thank you for reading the post and writing a comment from your heart. I do, and its not a Myth at all. Sometimes it feels alot like a mental illness. I am 30 years old. Its not the inability to focus, and concentrate, its actually the opposite, its too much information going around in our heads and our hearts. Its more like all the info causes a form of disorientation and we’re actually thinking about too many things at one time. May I quote a man named Ron Davies “Once we know the true nature of a problem, you can devise a strategy to address each individual components one by one. Once you Eliminate all components, you have effectively eliminated the problem. By getting rid of the DISORIENTATION, you remove most symptoms and tendencies of Learning disabilities, Dyslexia and ADHD. I really don’t like to say Disabilty, people with ADHD and learning problems just have a “different way of Thinking” and they just need to find the right way, the clear way, for them to learn and to be. They actually have a special gift, and with the right information, awareness of whats happening to them and understanding of whats happening to them they will have a greater quality of life and then they can be the very best person they were born to be, because then they are in control and ADHD is not in control of them. Parents and care givers of children with problems also need awareness and knowledge about how it actually feels and what is actually happening inside their bodies, their minds and their hearts and with that information will come understanding, patience and love. Have you ever lived with a boy with ADHD? I have he has distroyed my families life, they can be very hard to love. 40 doctors we went to, no-one could help us, over 28 years. No-one really had a solution and thats what we need a solution, I have been searching for the last 12 years for the right information and I found it. Ron Davies the author of the gift of Dyslexia and the gift of learning has a solution. He understands us inside and out. And its amazing easy and it works, it has changed my families life and is changing my daughters school and the lives of many children at her school. We don’t really want people telling us this is crap and that is crap, we WANT HELP!!!!!!! ADHD is alot more than the symptoms you described, there are reasons for those symptoms, which are not like a “normal” person. During times of severe, disorientation for long periods of time, this is when many ADHD people feel lost confused and crazy and end their own lives, or turn to drugs and alcohol to numb the disorientation and to have a rest from the crazyness and madness that consumes their hearts and their minds and their spirits. ADD ADHD whatever it is called, who cares what its called, lets help those that are suffering and struggling and families that are in a state of hopelessness, parents that are trying desperatly to help their children to break them free of this torment and mental burdens of ADHD. There are much research connecting vaccinations to ADD or ADHD. 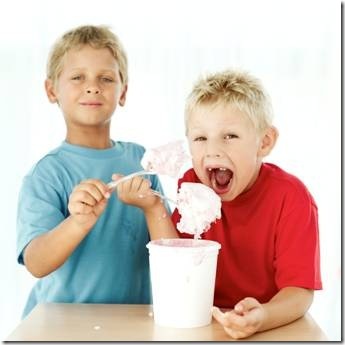 Generaly there is much research connceting ADHD to food, chmicals and medication.